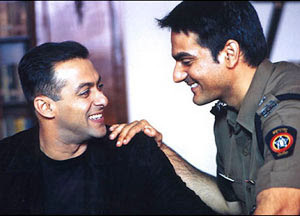 The Khan brothers-Salman and Arbaaz-will be teaming up after almost four years in the film Prem Kaa Game. Salman, who will be seen throughout the narrative of the film, will be advising Arbaaz's character, Prem, how to stray in marriage. The two were earlier seen together in David Dhawan's romantic comedy Maine Pyar Kyun Kiya? in 2005.